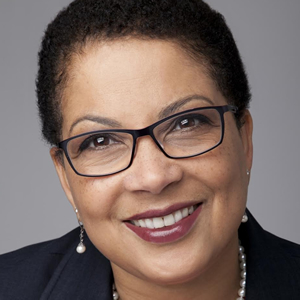 Marcella Fleming Reed offers HumanPoint clients extensive expertise in navigating human resource issues, resolving conflict, and building and nurturing diverse teams. Marcella has over 25 years of experience as an employment law attorney. As the founder of MFR Law Group, she has provided businesses of all sizes with HR and workplace law advice, executive coaching, and management team training. Marcella’s background as a practicing attorney gives her the ability to see situations through multiple points of view, and this openness allows her to create learning opportunities where all team members feel that their perspectives are understood and valued. Whether she is advising clients on diversity and inclusion, HR policy, organizational structure, or leadership development, she’s an engaging and effective communicator. Marcella’s coaching has helped teams to become more professional, cohesive, and collaborative as she provides leaders with tools to actualize the best practices she introduces. Her years of mediation experience enable her to quickly and intuitively identify the drivers of workplace issues, and her own background as in-house counsel and as an HR executive for a Fortune 50 company allows her to understand the broad range of topics her clients face. Though her coaching style is unstructured and client-led, her advice is considered, analytic, and strategic. Marcella is a graduate of the University of Virginia School of Law and has obtained an M.A. and B.A. in Educational Administration and Elementary Education from the University of Iowa. She is licensed to practice law in Washington and Virginia, and is certified by the Human Resource Certification Institute as a Global and Senior Professional in Human Resources. She is a member of the Steering Committee for the NAACP and Everett Community College Youth Development Program, a trustee for the Everett Public Schools Foundation, HR Committee Chair for the YMCA of Snohomish County, and Fund Development Co-chair for the Greater Seattle Chapter of the Links, Inc. Contact Us to Work with Marcella!